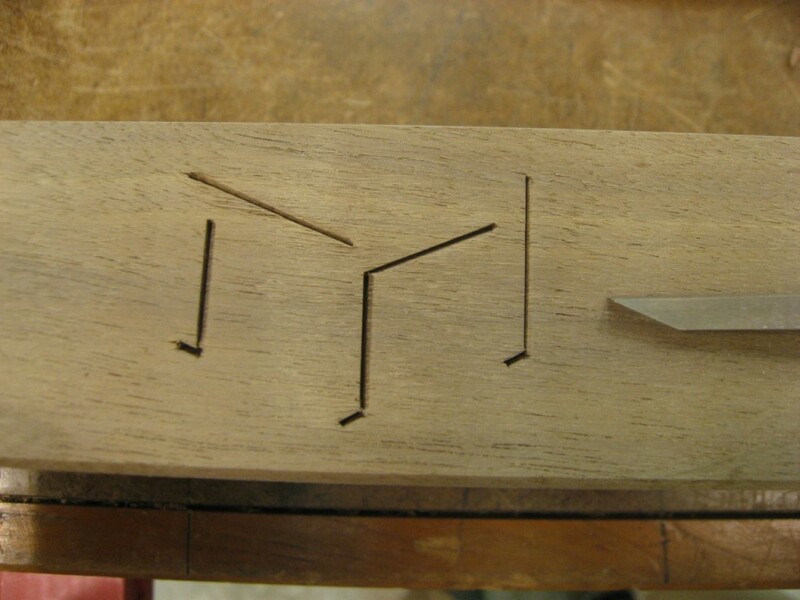 Different furniture makers sign their work in different ways. Although I haven’t been consistent, recently I’m adding my logo to a concealed surface. Now is a good time to do this while I have separate pieces right before assembly and finishing. I first print out my logo and tape it to the wood. 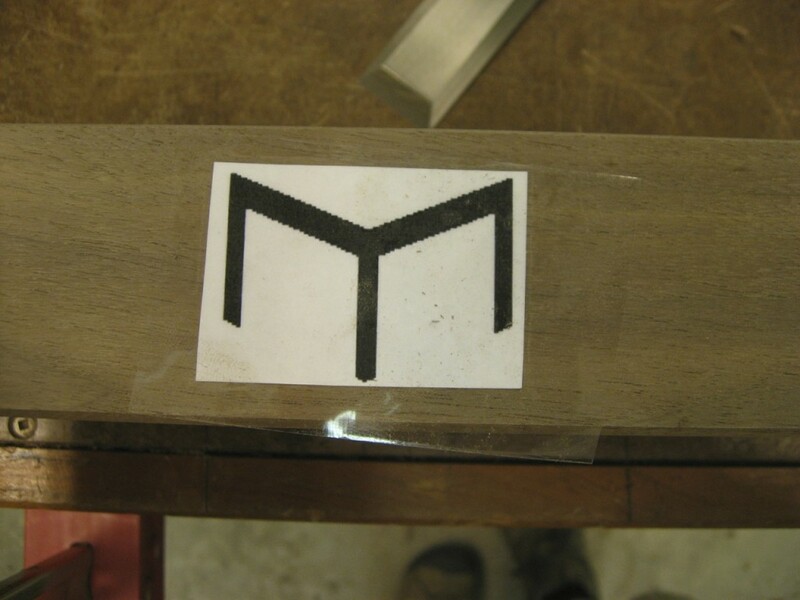 M. Scott Morton logo taped to the wood. It’s then a matter of stabbing the lines with correctly sized chisels. Remove the paper and done! I actually don’t like signing my work. A lot of the period furniture I reproduce wasn’t signed, and I’m certainly no better than the original maker. I have a brand but have been experimenting with a certain chisel stroke. I think it adds a little uniqueness to your work. A Cabin Built with a Gransfors-Bruks Axe Top Woodworking Books: Looking for a Good Read?